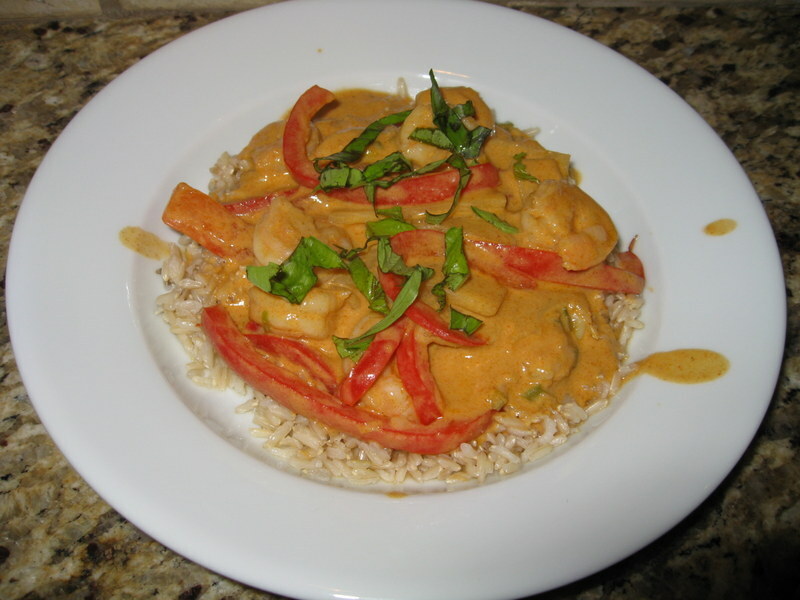 This is a delicious fall recipe that I found in the August 2012 edition of Cooking Light. The apple and onion flavors are wonderful. 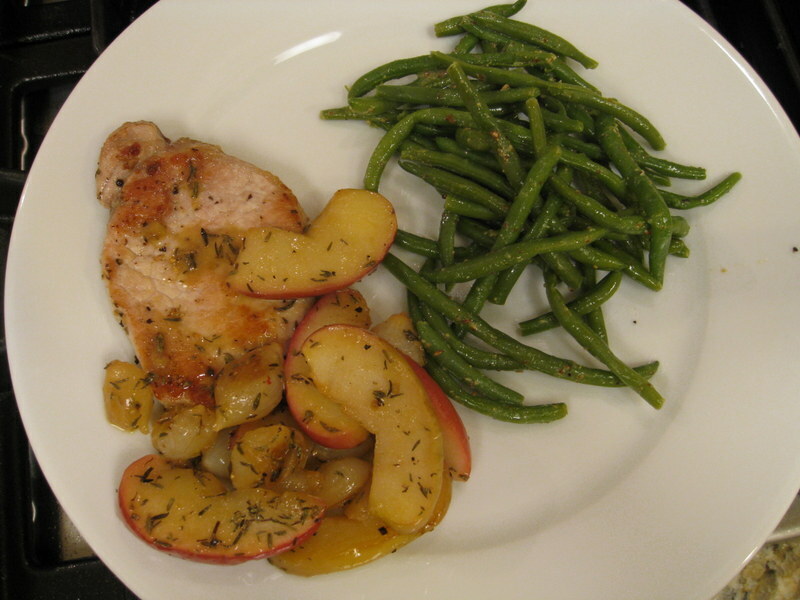 This makes a fast weeknight dinner since the only prep required is cutting up the apples. I have already made this twice, including once for company. Yum! This recipe requires that you saute the onions on the cooktop and then finish roasting them with the apples in the oven. Therefore, you need to preheat the oven to 400 degrees F before you start. Then select a large oven-proof skillet and heat it over medium-high heat. Coat the pan with 1 tsp of the canola oil and add the pearl onions. Saute the onions for a few minutes until they start turning brown. Then add the apples to the skillet and place the skillet in the oven for 10-12 minutes or until the apples are soft. While the apples and onions are baking, sprinkle the pork chops with 1/4 tsp salt and 1/4 pepper. Heat a large skillet over medium-high heat and add coat the pan with 1 1/2 tsp canola oil. 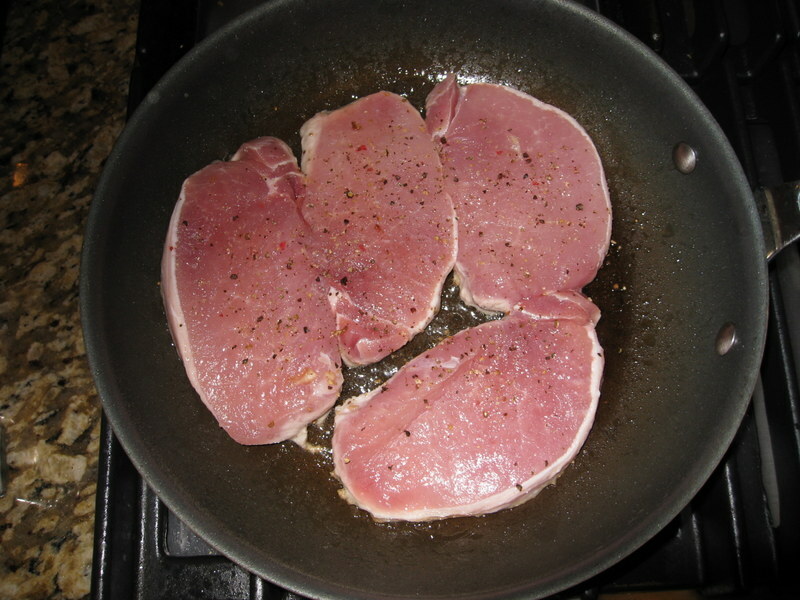 Place the pork chops in the skillet and cook for 3-4 minutes per side until they are cooked to the desired level. Remove the pork chops from the pan. Combine the flour and chicken broth in a small bowl. Then add to the skillet and cook until it is reduced by half (1-2 minutes). Add the cider vinegar and 1 tsp butter. When the apples and onions are done, remove from oven and add 1/4 tsp salt, 1/4 tsp pepper and the thyme. 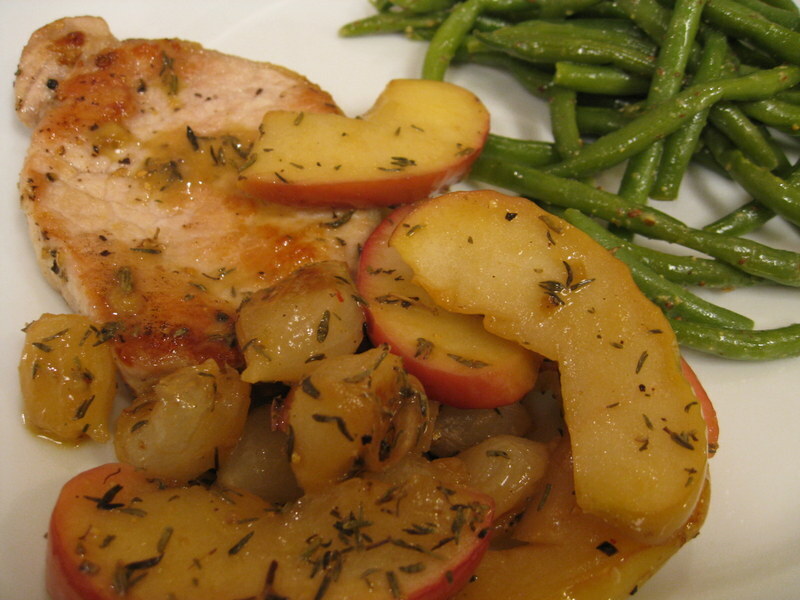 To serve, drizzle the pork chops with sauce and serve with the apples and onions. 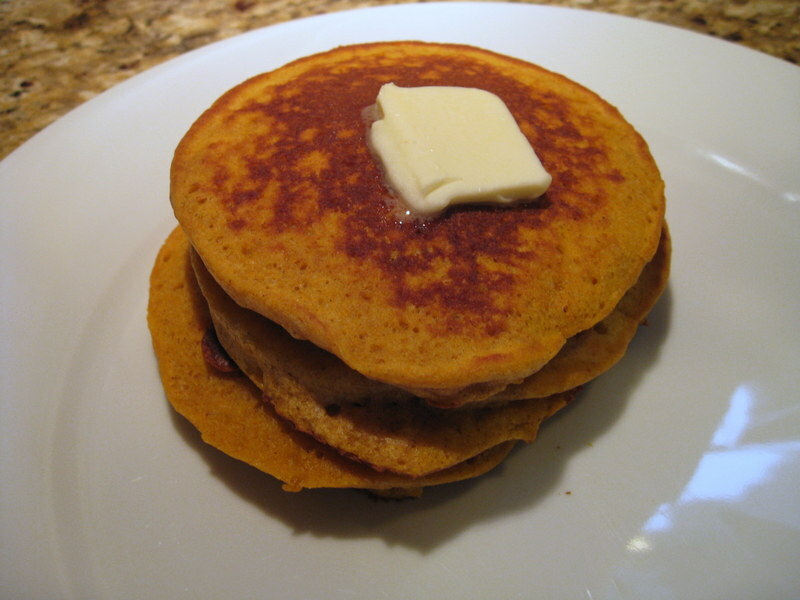 Pumpkin pancakes on Saturday morning are a sign of fall in our house. These are light and fluffy because the egg whites are beaten separately and slowly folded into the batter. I found this recipe on epicurious.com. In a large mixing bowl, stir together the flour, sugar, baking powder, cinnamon, nutmeg, allspice, cloves and salt. In another bowl combine the milk, pumpkin, egg yolks, butter and vanilla. 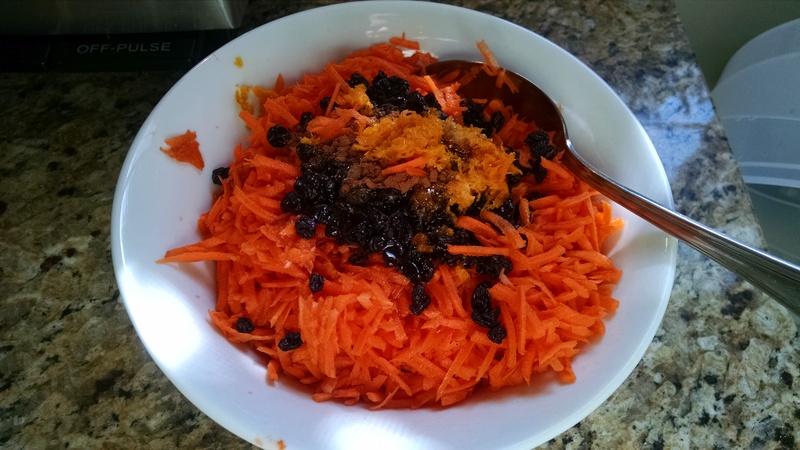 Add this mixture to the dry ingredients and stir just until combined. Place the egg whites in a clean mixing bowl and beat them several minutes with a mixer until stiff peaks form. Carefully fold the egg whites into the batter mixture. Spray a skillet with oil to coat and heat over medium heat. Drop 1/3 cup batter onto skillet to form pancakes. Allow to cook until bubbles form, then flip and cook the other side. Serve with desired syrup or powdered sugar. Cardamom is an exotic flavor I fell in love with several years ago. The spice originated in India and gives masala chai tea its distinctive flavor. I have been experimenting with cardamom by using it instead of cinnamon in select recipes. 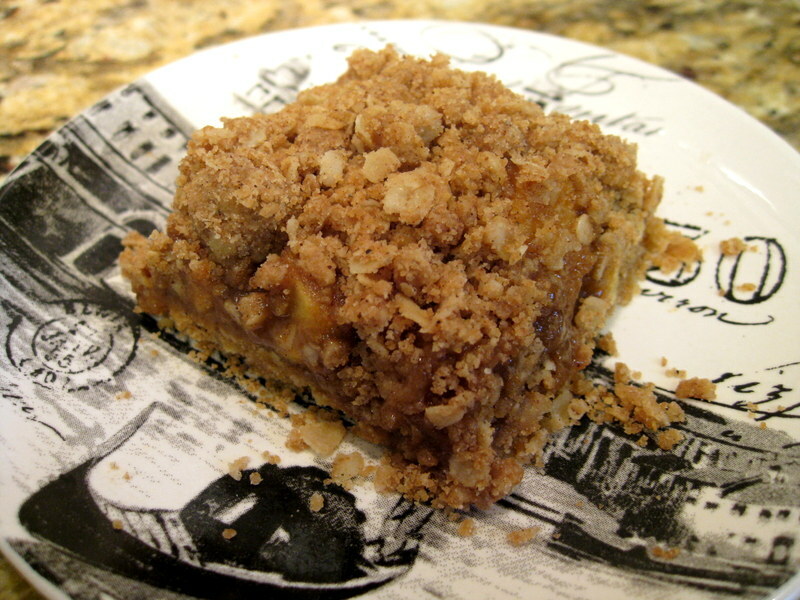 Here I tried it along side cinnamon in these apple crumb bar cookies. 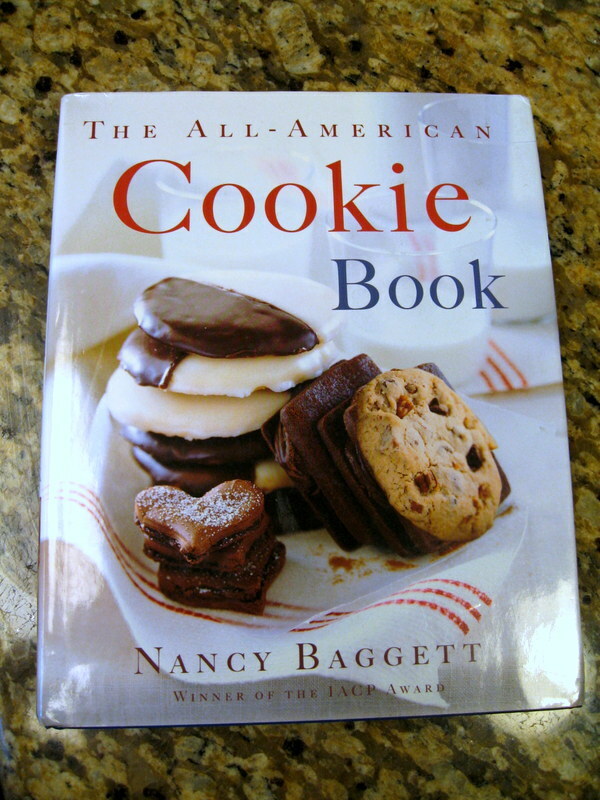 I based this recipe on one found in The All-American Cookie Book by Nancy Baggett. I chose to use white wheat flour in the crumbs in this recipe since the flavor blends well with the oats and the flour is a little healthier than all-purpose flour. (Admittedly the butter and heavy cream prevent this recipe from ever being healthy!) I am a big fan of white wheat flour since it is whole grain and I use it quite often in many baked goods. However, I always stick with all-purpose flour when a mild flavor is necessary, such as in cakes and delicate cookies. White wheat flour can be found at some grocery stores and at King Arthur Flour. I started by preheating the oven to 350F and greasing (with cooking spray) a 9″x13″ baking dish. In a large mixing bowl, I stirred together the flour, oats, cardamom, cinnamon, and salt until well-blended. Then I added the brown sugar and stirred to blend. 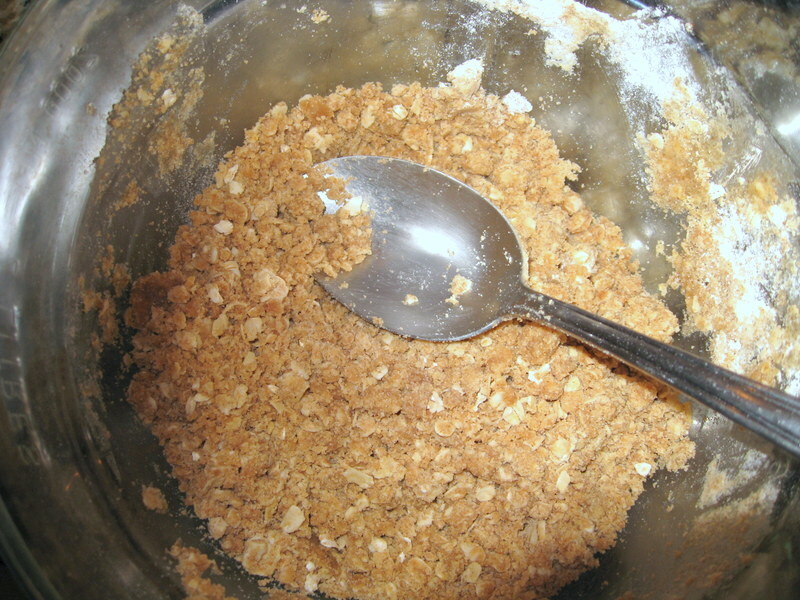 I added the butter and combined it with a spoon (or you can use your hands) to get a crumbly texture. I pressed half of this mixture into the baking pan and baked for 10 minutes. Meanwhile, I made the caramel. 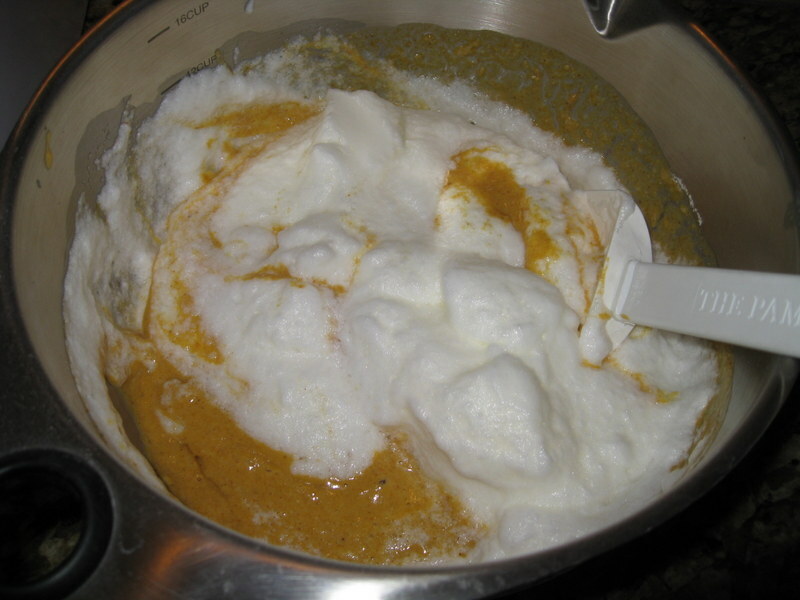 In a 3-quart saucepan, I combined the heavy cream, corn syrup, brown sugar and salt. Then I brought the mixture to a moderate boil over high heat. I used a candy thermometer to monitor the temperature and cooked it until soft ball stage (243-244 degrees F). You can also check the caramel by dropping a small sample into ice water. When it cools, it should form a squeezable but firm (not hard) ball. After the caramel reached the right stage, I removed it from the heat and blended in the flour and vanilla. I spread the apples over the crust and then poured the caramel over top. 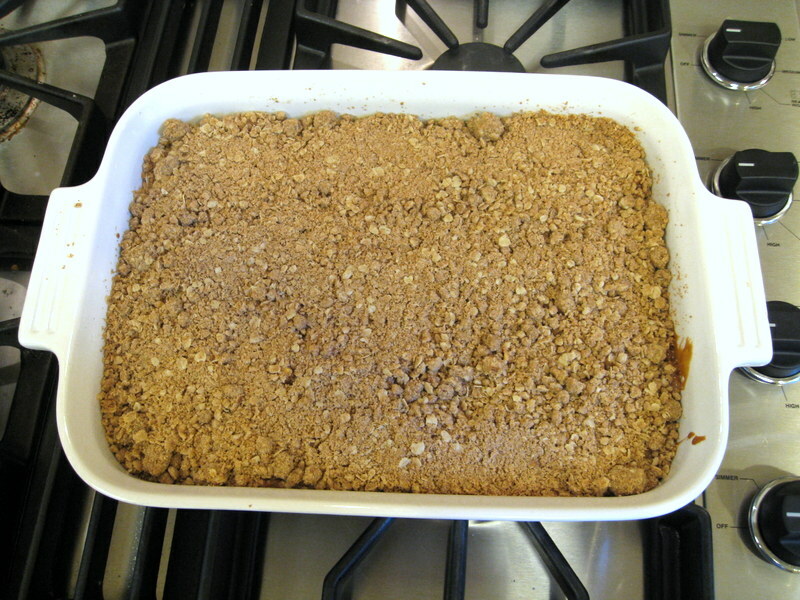 Then I topped with the remaining crumbs and baked it for 25-30 minutes until it started to brown. I let it cool on a rack and then cut into squares. Yum! 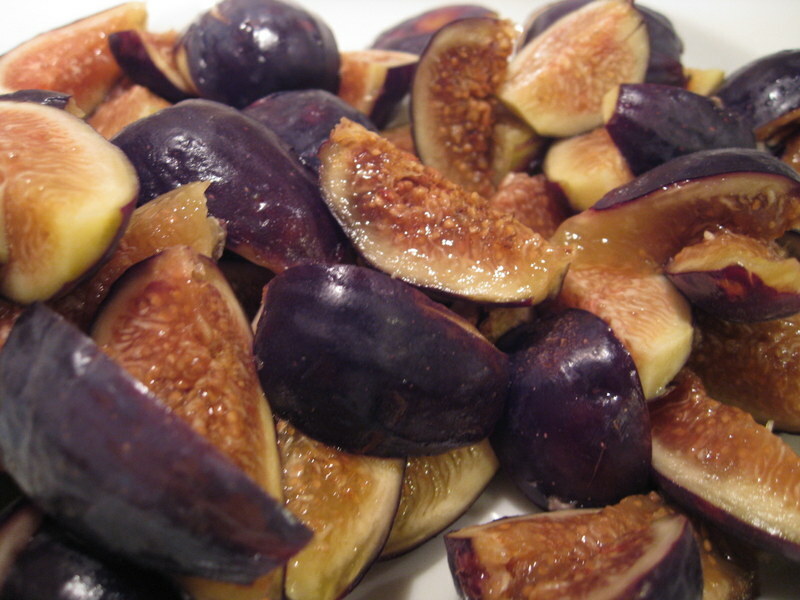 Slice off the stem from the figs and then slice in half. Trim the white fibrous coating from the pork tenderloin. Then slice the tenderloin into 12 slices. 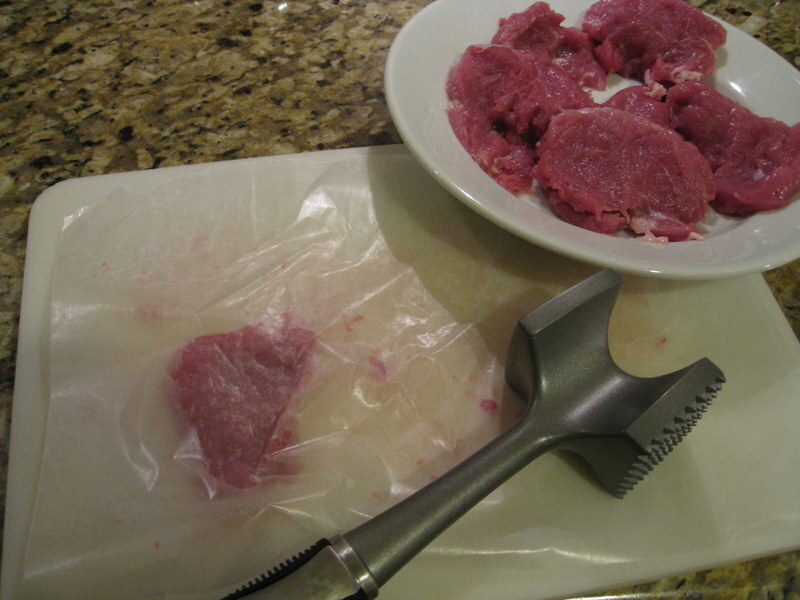 Place each slice between two sheets of waxed paper and pound with the flat side of a meat tenderizer until it is approximately 1/4 inch thick. Sprinkle each slice of tenderloin with salt, pepper, and part of the thyme (use 1/2 tsp for all of the slices). Heat the butter and olive oil in a large skillet over medium-high heat. Add the tenderloin slices. 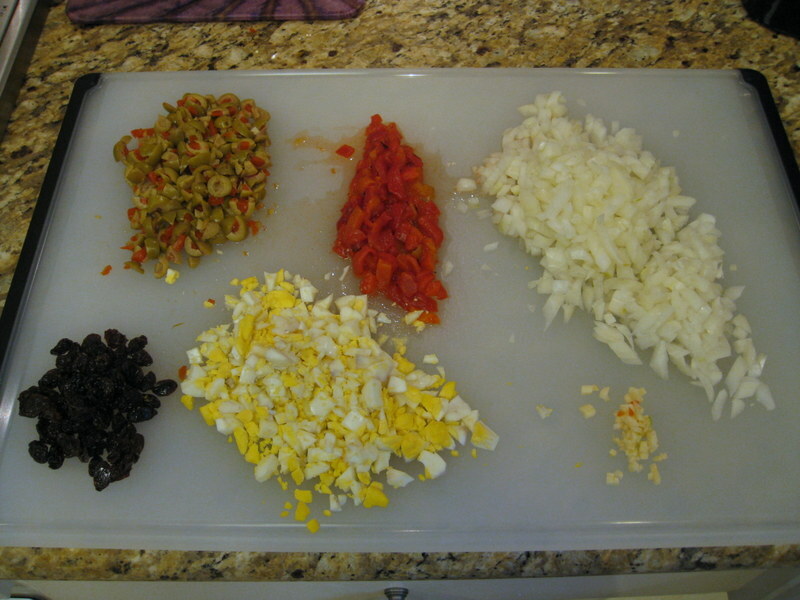 (The slices can be cooked in batches if they don’t all fit in the skillet at once in one layer). Cook them for a minute or two on each side to brown them. Remove them from the skillet. Reduce the heat to medium-low and add the shallots to the skillet. Cook for a few minutes until they soften and turn golden brown. Then add the sliced figs and turn the heat back up to medium-high. 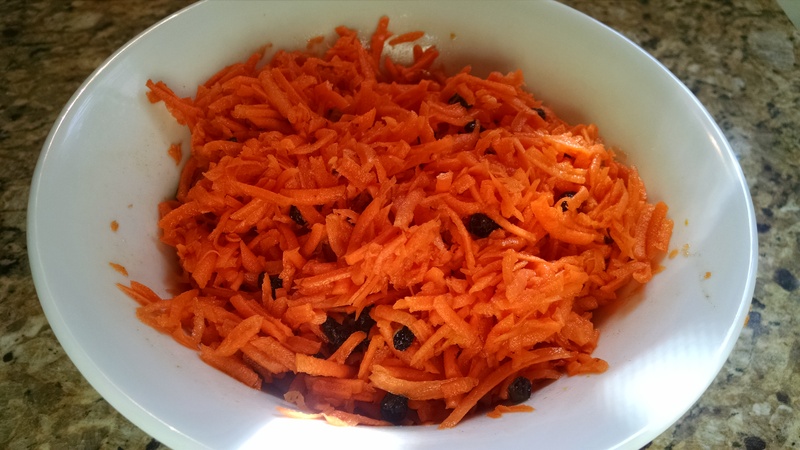 Cook these for 3 to 5 minutes, turning them gently to brown. Then add the Marsala wine and let the liquid boil off to reduce the liquid until it thickens (about another 3-4 minutes). 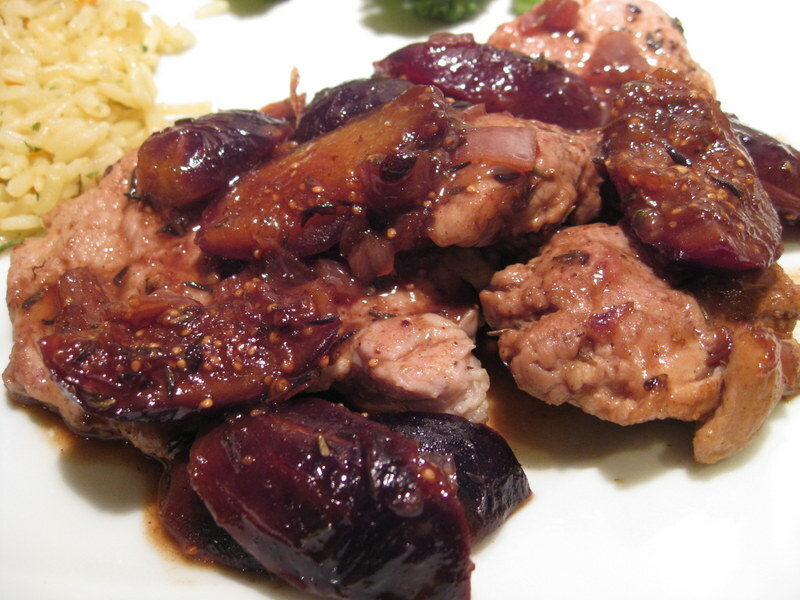 Sprinkle the remaining 1/2 tsp thyme and balsamic vinegar over the figs. 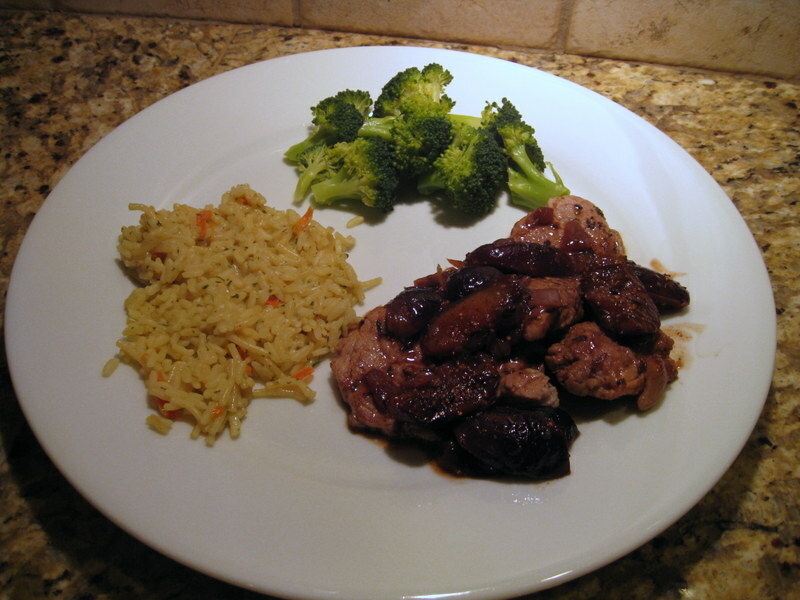 Nestle the pork slices back into the skillet and cook a few minutes more to cook the pork to desired doneness. I served this with a rice mix and steamed broccoli. Enjoy! I love eating fish. It’s tender and juicy so that I never need a knife and it can be cooked up fairly quickly. Fish can be used as a backdrop for so many flavor combinations, from simple to complex. It’s also very healthful. 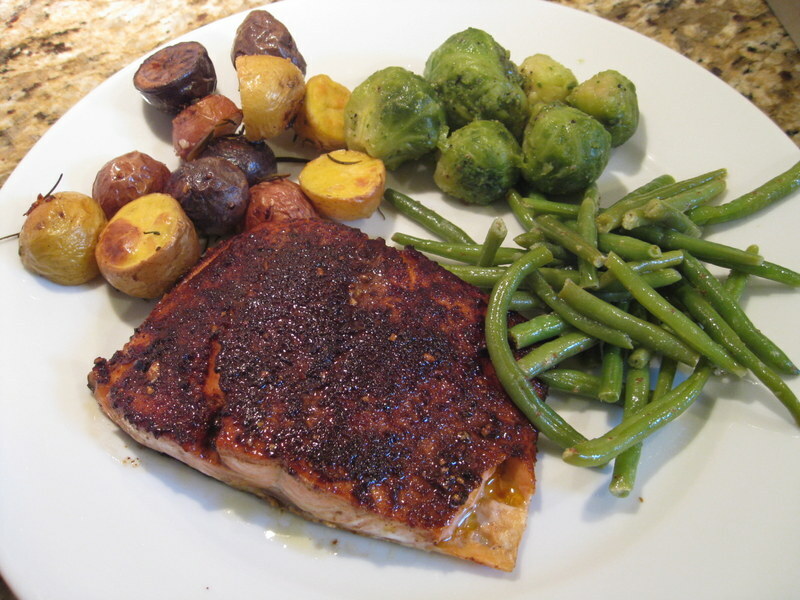 I found this delicious recipe from the Copper River Salmon website. The combination of smoky paprika, spicy cumin and cocoa is wonderful. I chose to panfry the salmon completely; the original recipe recommends finishing the cooking in the oven. Either way is great. Mix the first 6 ingredients together. 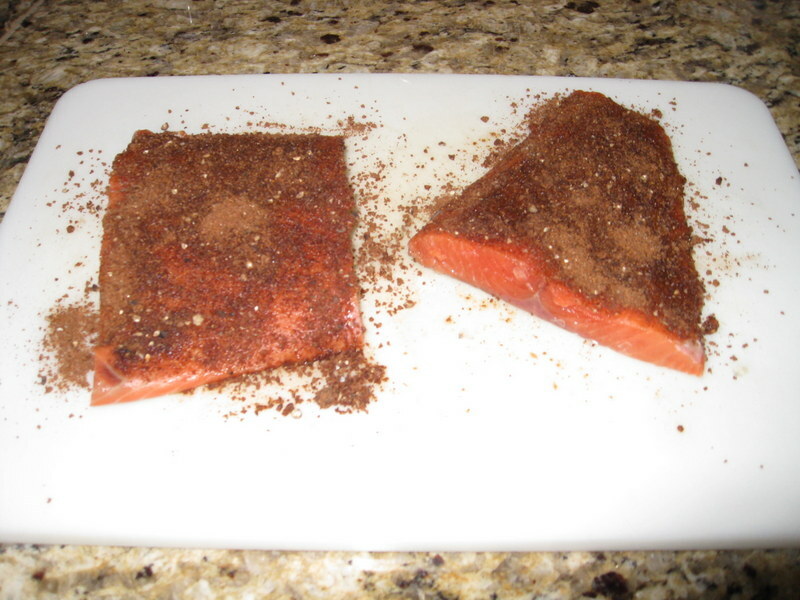 Then rub the spices into the top of salmon fillets. 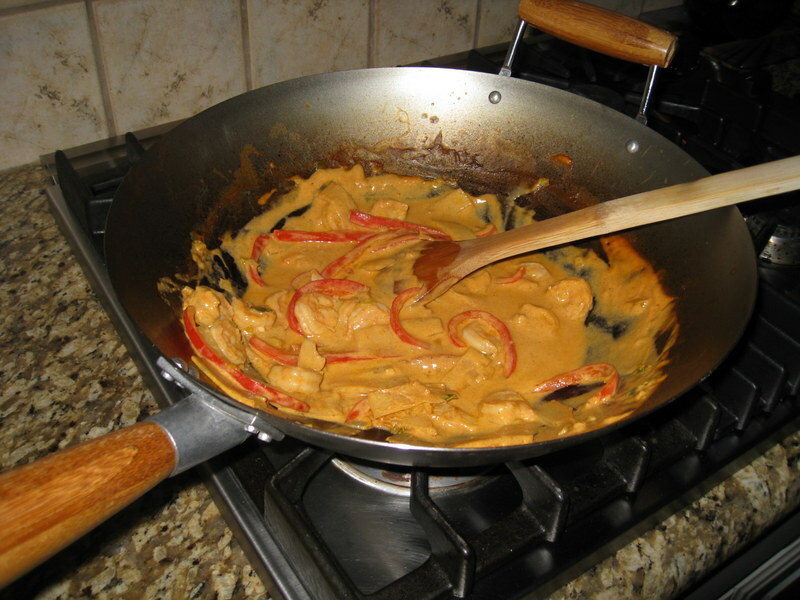 Heat oil in a heavy skillet over medium-high heat. 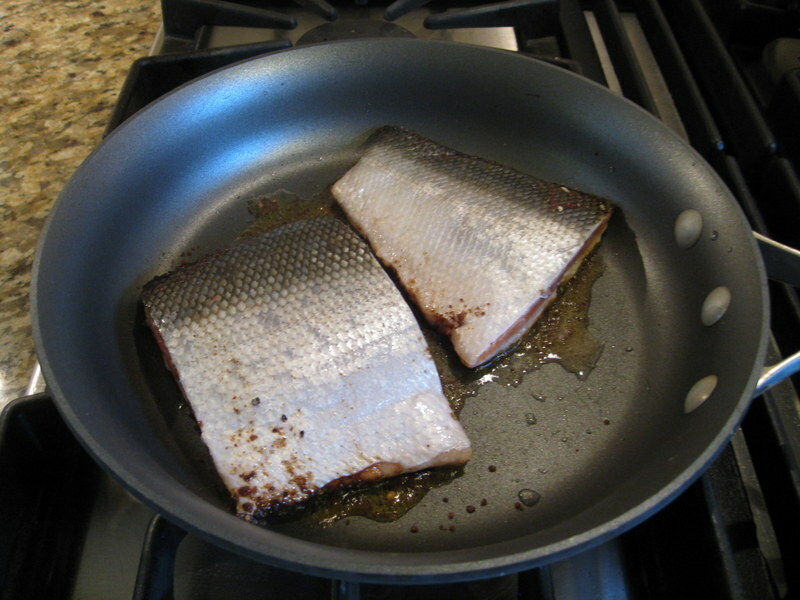 Place fillets in the hot pan, skin side up. Fry for about 3 or 4 minutes. Turn fillets over and cook for 3-4 minutes or more until the fillets are cooked through. I served my fish with green beans, brussel sprouts and roasted potatoes. I am a stickler about eating lots of veggies, so that’s why my plate looks like the veggies are taking over! *Note: Smoked paprika has a smoky flavor compared to sweet paprika. You can find smoked paprika at Penzey’s Spices. I buy almost all of my spices from Penzey’s. They have so much more flavor that most of the ones I get in the grocery store and are sometimes less expensive, too. I love making cupcakes from scratch. My yellow cake recipe is an old standby found in the Better Homes and Gardens Cookbook (the one with the red/white checkered cover – mine is several editions ago). Then I top with a simple lemon butter frosting. This recipe is easy enough that I sometimes just make these on a whim when I’m craving something sweet. In a small bowl, stir together the flour, baking powder and salt. In another bowl, beat the butter on medium-high speed with an electric mixer for about one minute. Add all the sugar and vanilla and beat to combine. Add the egg and beat for one minute. Then slowly add small portions of the flour mixture and milk to the butter mixture, beginning and ending with the flour mixture. Beat on slow speed after each addition just to combine. Spoon mixture into 12 muffin cups, filling a little more than half full. 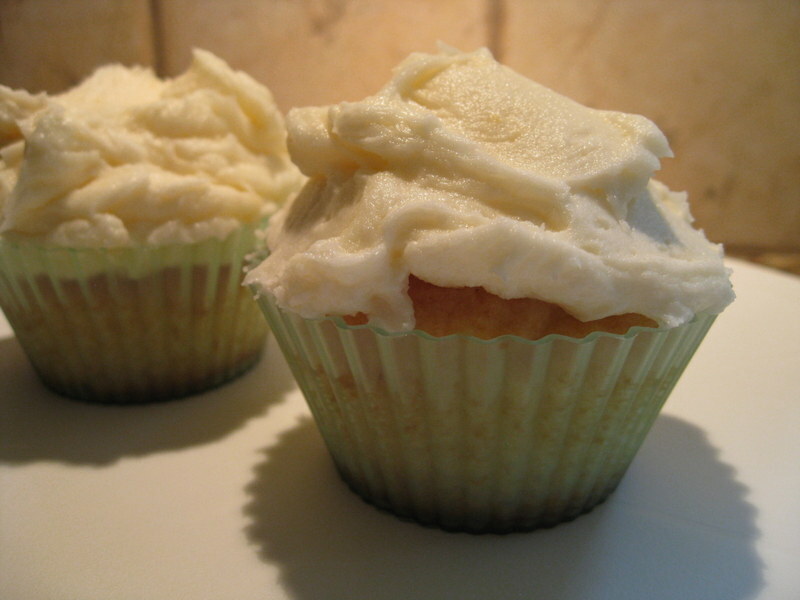 Bake for 18-20 minutes or until a cake tester (or toothpick) inserted into the center of a cupcake comes out clean. Beat the butter until light and fluffy. Add the lemon juice, vanilla and lemon zest. Beat in powdered sugar. Frost the cupcakes with the lemon frosting and enjoy! My husband loves empanadas – they are his comfort food. They are fun food packets bursting with flavor that are great for snacks, appetizers or a simple meal. 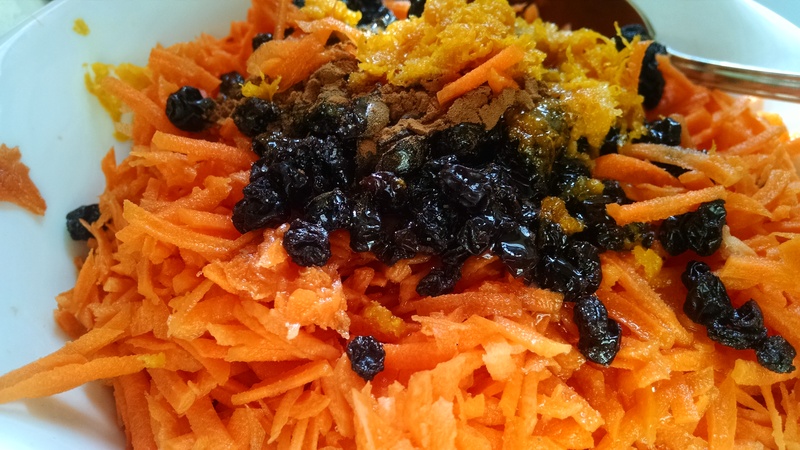 I like the mix of olives, raisins, beef and spices that give them their traditional taste. I found this recipe that is similar to the ones they make in Argentina. I use dough circles (usually Goya brand) that I can find in the hispanic freezer section of my grocery store so that I don’t have to make the dough from scratch. I also prefer to bake my empanadas rather than frying them so they have less oil. I browned the ground beef in a skillet and then drained any excess fat off. In another skillet I heated 2 Tbsp olive oil over medium to medium-high heat and added the onion. I cooked until the onion started to brown and then added the garlic. I cooked the mixture for another minute or so. Then I added the remaining 2 Tbsp oil and the rest of the ingredients (except the dough circles) and carefully mixed it. I let the mixture cool slightly before stuffing the empanadas. To stuff the empanadas, I put a few Tablespoons of mixture on half of one dough circle. Then I wet the edges of the circle and folded the dough over to make a half moon shape and pressed the edges to seal them well. At this point I fold the edges up, empanada style. I’m not all that great at this and it’s difficult to explain, so you may want to find a video on youtube like this one to show you how to do it. After all of the empanadas are done, I place them on a cooking sheet sprayed with oil. I then brush the tops with a bit of oil so they will brown. (Or, you could brush them with egg wash) I bake them in a 350 degree oven for about 20 minutes until they start to brown. 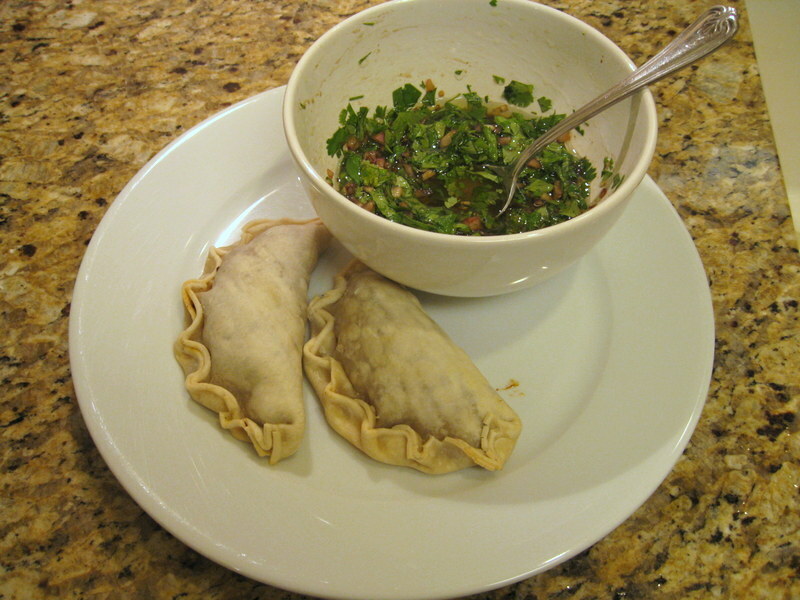 Just mix up the ingredients and serve with your empanadas. Yum! On the weekends I like to cook something special for breakfast. 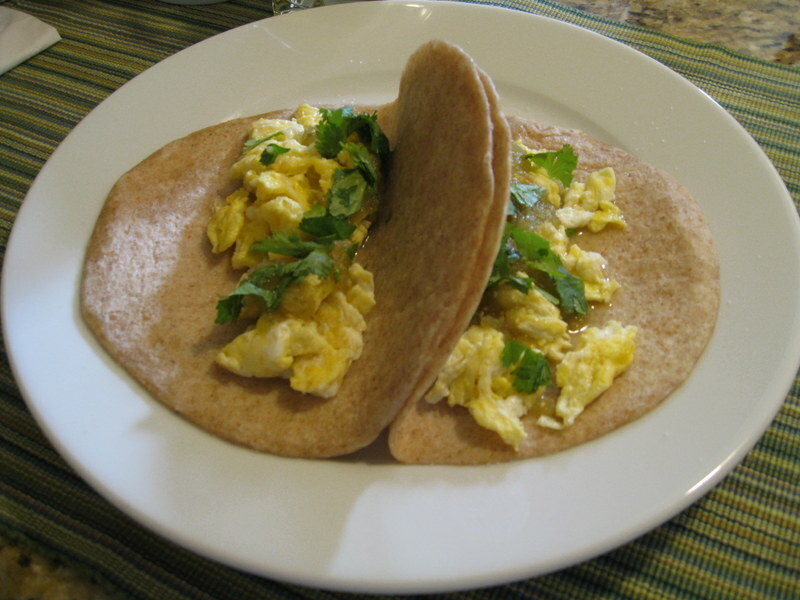 This time I wanted to make something easy, so I put together a very simple scrambled egg taco topped with green salsa and cilantro. I used store-bought whole wheat tortillas (from a grocery store where they make them in-house) and I used Herdez green salsa. It was very easy and fast. 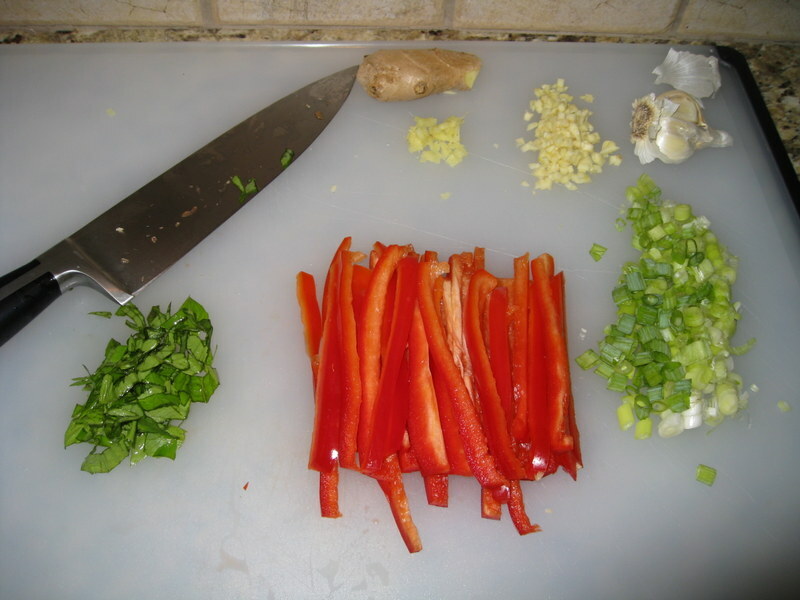 The only chopping was the cilantro.